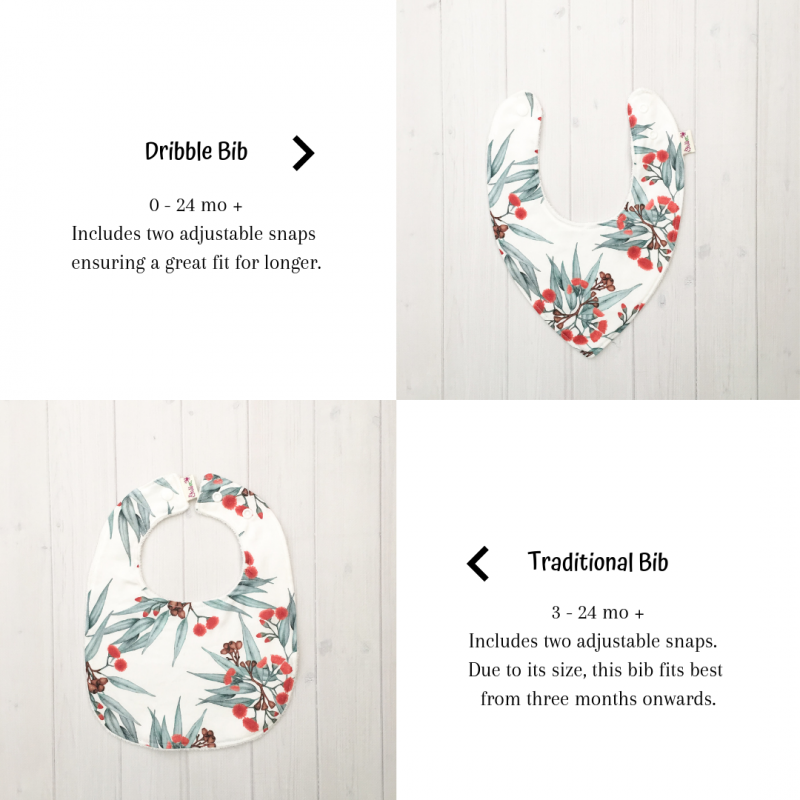 Our Bondi Bib is the perfect accessory for your little one. Modern, fun and practical. These bibs use beautifully illustrated fabric designed by Ellie Whittaker. The fabric is printed right here in Melbourne and then sewn by me in my home studio.